We Love Granny: we admit here at Bettaknit’s, we really like the grandma’s tile! 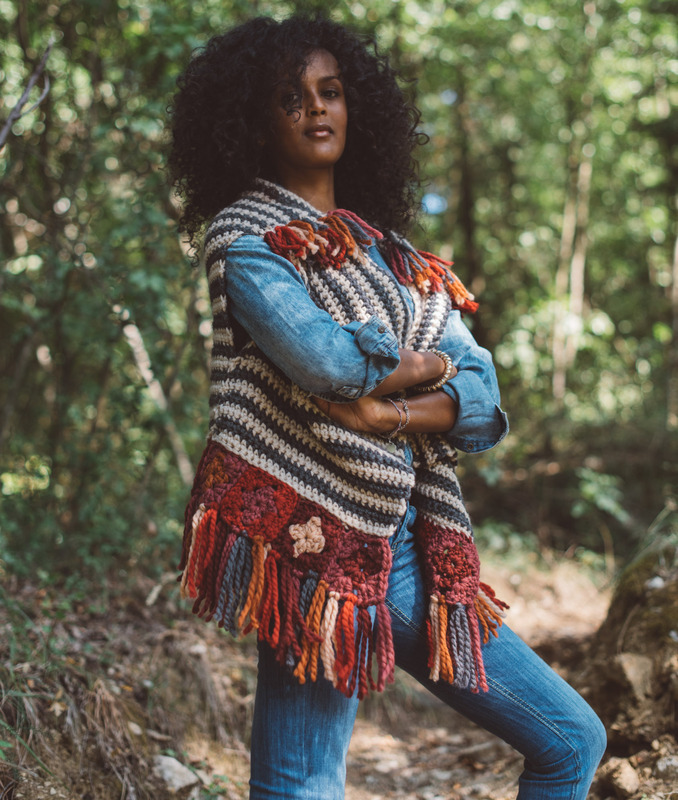 The Fall Winter 2018 crochet collection is therefore based on this “evergreen”. That making the classic squares is easy, many of you already know it. Just in this post we explained how to create one of its infinite variations. Giving a rock soul to granny squares was the ambitious goal I set for the new BettaKnit collection. 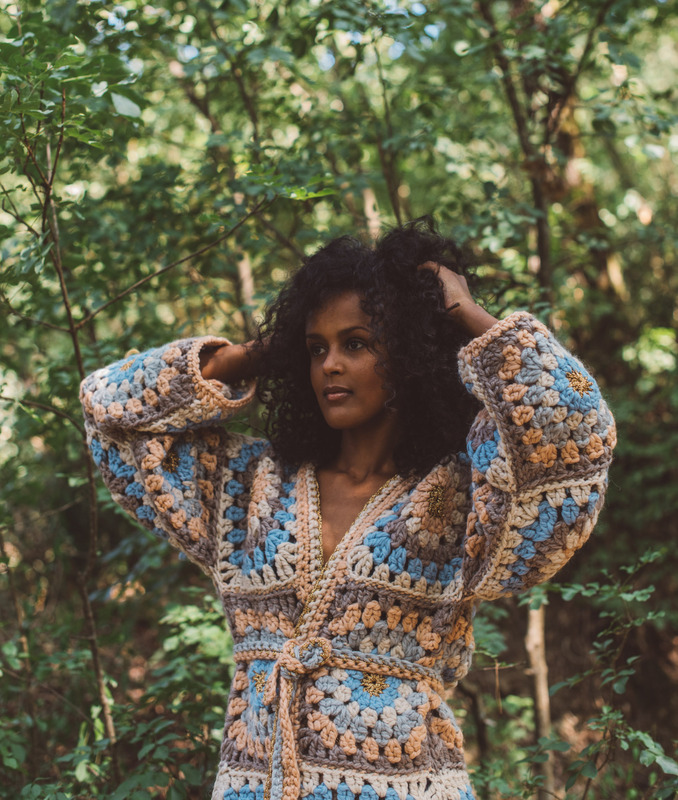 The kits of the We Love Granny Collection are made with our precious “Biologica” yarn, in organic wool and alpaca and are perfect to wear whene the weather get cold! All the three crochet kits are intermediate level kits, but they are much simpler than they may seem at first glance. A short vest, a sort of poncho, with a rectangular shape. A very simple model, which can be crocheted in the blink of an eye. Find the Kit here. 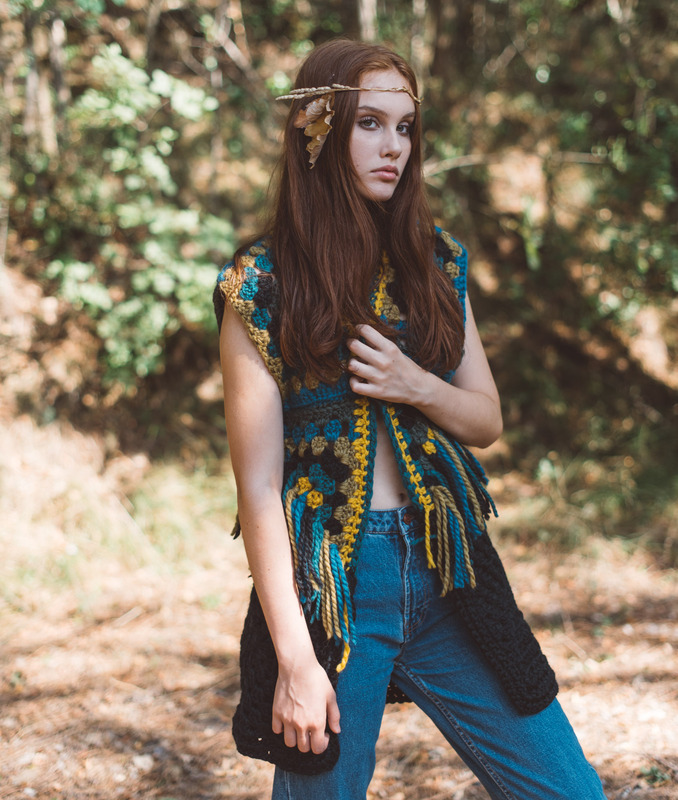 For a jump in the ’70s, the Coachella Vest is an indispensable garment. A mix of all different tiles, rectangular, square, bicolor, enriched with colored fringes, and perfect at the first cold. A touch of lurex and delicate colors to remember the opulence and delicacy of Japanese kimonos. A real masterpiece. Here you find the Kit. And … if you’d ever thought that crochet had gone out of style, this is the time to change your mind!